Last weekend we did the things I wanted to do, which resulted in a fairly low key weekend and quite a bit of time to myself. It was amazing! Friday night was Date Night In. We got take out from our favorite local Ecuadorian restaurant (Mi Patria) and watched season 2 of Broadchurch. 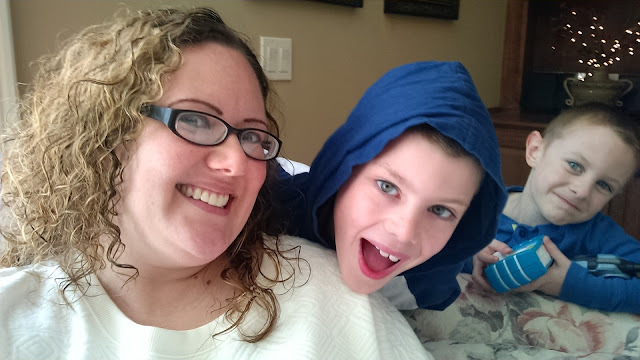 Saturday we ran errands in the morning, took a nap in the afternoon, and then this mama got to go out. Sunday we celebrated birthday's at my aunt's house. It would have been nice if we had gotten a chance to go outdoors and explore a bit, but the weekend is only so long (who do I see about changing that one??). 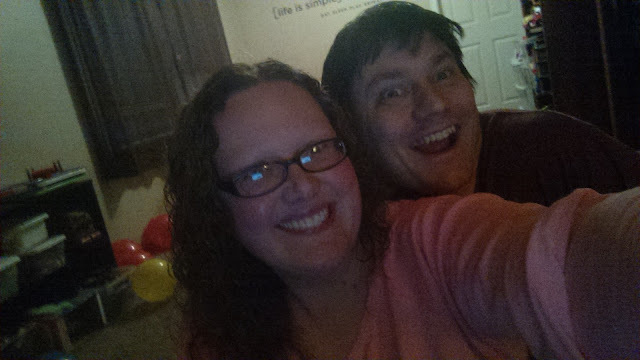 Hubs was obviously pretty enthused about Date Night In. 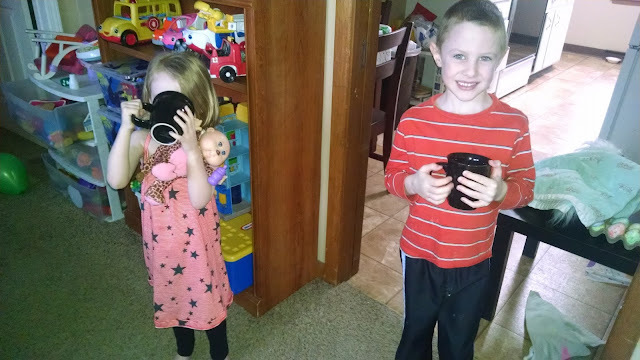 Playing "moms, dads, and coffee shops" before we left for our errands on Saturday morning. 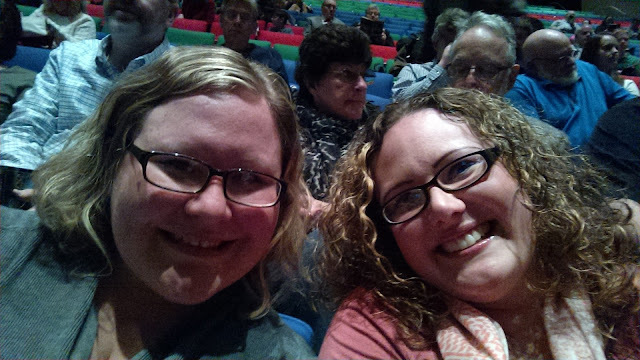 My cousin and I went to Riverdance for the first time with our grandparents 18 years ago. 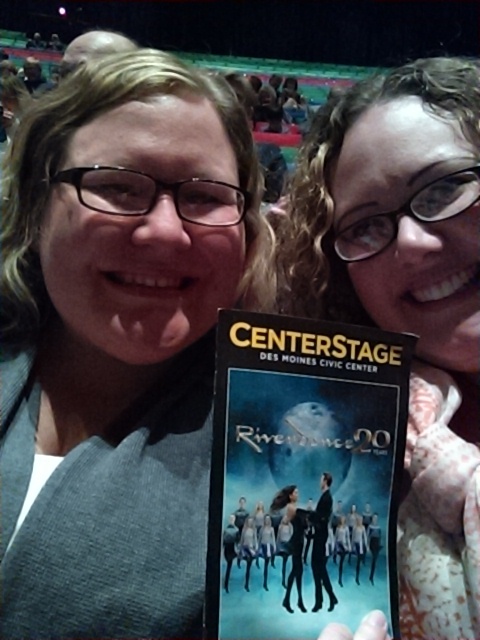 We had an excellent time reliving our love for Riverdance. Before the show, we grabbed dinner at Lurra Cocina (the white sangria hit the spot). 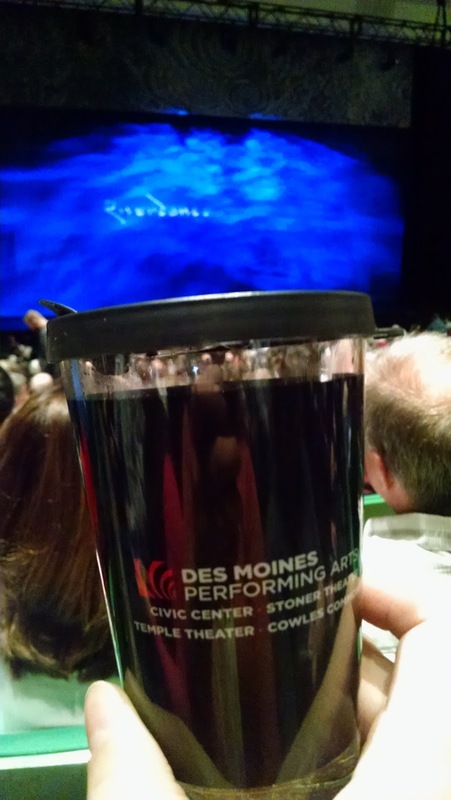 Everyone should have a wine souvenir cup. It's pretty nifty. 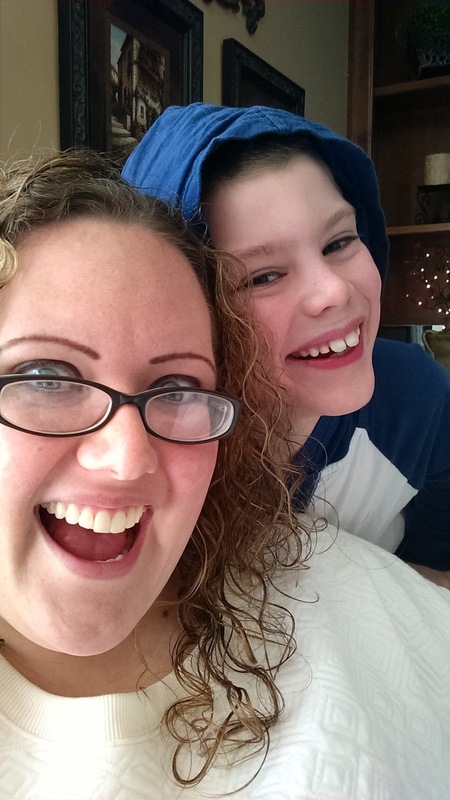 Sunday selfies with kids who couldn't quite settle down. Naturally, I did a little blog work Sunday night. I've found it to be a perfect time to get writing done: the kids go to bed early, Hubs is usually off doing something, and I can crank my music and write. This writing session had issues thanks to a cat who felt my laptop was the perfect place to nap. I had to spend some time fixing my screen and removing some programs the cat had installed. 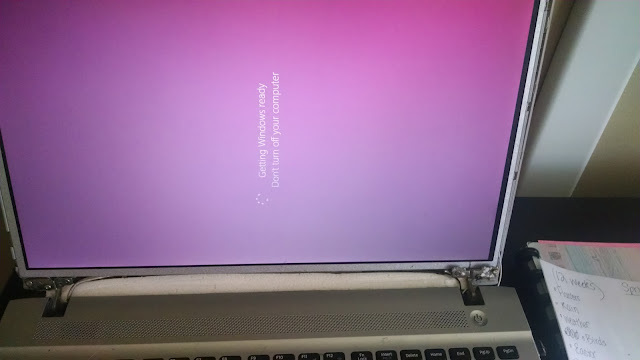 My cat can figure out my computer better than I can apparently! Next weekend will be busy with Easter activities, which makes this weekend's relaxing that much more valuable!